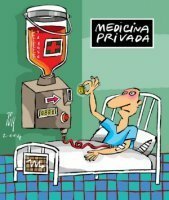 If I were a rich person I wouldn´t have any doubts at all about this question: I´d prefer private medicine. Why? Because when you have enough money to pay for private medicine services you are the owner of your time: you´re sure that you´ll receive the best personal attention and whenever you´re ill you will be treated, and this is a very important matter to have in mind nowadays: people suffering from cancer usually save their lives if they are faster than this terrible illness. On the other hand, if you have money you will avoid the worst things people without money are used to putting up with: waiting lists, worse attention for each person and the illegal behaviour of lots of doctors that work in both public and private medicine. Actually, waiting lists are the worst inconvenient when you have to decide which type of medicine services you would like "to belong to". I mean, if you have symptoms of any illness but you aren´t checked in time you can lose your life in a stupid way. However, if you are discovered to have a cancer or something like that soon, you´ll be able to win the battle against it. In this sense public medicine is worse than private. Finally, the third and most dangerous factor we´re discussing: these mean greedy doctors that work in both public and private medicine, and give a worse attention in the first one than in the second. These dangerous "professionals" are used to being paid by the same patient twice, the first one through the public administration (as a matter of fact, their patients are given a very bad attention: there isn´t enough time for them and doctors don´t devote more than 5 minutes to examining them) but the second time this patient pays the same doctor, he is a very different person: he speaks with him, he knows his name and illness, he is worried about him (about his money...). All these things make me think that if I were a rich man I would prefer private medicine services. But what happens if I´m not a rich person? If you don´t have enough money to pay for it, you may die at the hospital´s door. Not everybody can afford private medicine services. In fact, it´s very expensive to have an appointment with the doctors without waiting from two to seven or more months. If you aren´t rich, nobody will hurry about you, nobody will pay attention to a person without money to be stolen by vampiric doctors. If you aren´t so rich as people with three cars and a big house next to the beach, you won´t have right to anything. You´ll simply dissappear. And these are the reasons that make me feel more attached to public medicine than to private: in spite of the disadvantages it has, I prefer a system that takes care of everybody and has better equipment and better professionals than one that avoids the problems of the first but can only be used by a reduced number of patients. It is not only a question of human ideals, but also a question of improving our world. It´s on us! 13/10/2010 12:08 davidov3 #. Inglés No hay comentarios. Comentar. Being Galician, as happens with everything, has both a negative and a positive side. On the one hand, it´s generally believed that Galician people are yokel, boring and bored folks with nothing better to do than watching cows in the fields or fishing in the sea. Actually, it´s true that fishing and farming have always been most people´s ways of earning a living. But this doesn´t mean that all the inhabitants of Galicia go to work on "cowback". It´s like saying that nobody drinks water in England, only tea, or like thinking that everybody in Spain likes bullfighting, paella and flamenco. Sadly, as a result of being regarded as the folkiest hick ones in Spain, lots of Galicians feel ashamed of themselves. Obviously, there´s no big difference between XXI century Galicians and Germans, Italians or any other nacionality. On the other hand, we are also said to be hospitable, nice, good cooks and trustworthy. As a matter of fact, we don´t like our invitations being rejected and if a pilgrim needs anything on his/her journey to Santiago, there will always be somebody willing to help. Another thing that everybody knows about Galicians is how delicious our seafood is, especially when we are the ones who cook it. Apart from this speciality, we are also experts at making ham and turnip tops. If you need somebody to talk to, look for a Galician person. All your secrets will be safe with him/her. To sum up, stereotypes don´t exist by chance, there is always a reality on which they are based. However, this reality is usually more complex than the one depicted by the stereotype. Stereotypes exist because of our need to make generalizations, to give unity to a complex reality, so as to feel safer. 13/10/2010 09:19 davidov3 #. Inglés No hay comentarios. Comentar. Do you think that people are really interested in famous people´s lives? Are gossip programmes and tabloids actually necessary for us? Are journalists allowed to talk about other people no matter the price? Life and a professional basketball match are not too different: while a little number of rich, famous people are earning lots of money in a funny way, the others are simply watching and commenting on it. In fact, all of us are used to looking up to them, wondering about a better life, envying their luxurious cars and houses, dreaming of a second chance we were told we weren´t allowed to. Actually, the only way we can be among them is winning the lottery or marrying a rich person. You know: “if you can´t beat them, join them”. People need to feel safer, and in a world like ours, full of social problems, distraction is very necessary: a way of running away, an open window that makes our life sweeter. In this sense it´s not unusual that people are interested in famous people´s lives: it´s a chance of being happier. As a matter of fact, while a rich, powerful actor is said to be addicted to drugs, unable to give them up, you stop thinking about it as a common problem. “If you watch it on TV it must be further away from your real life”, lots of viewers will say. But this is a lie we are used to believing in. Continuing with this idea, it´s very necessary that a group of programmes can tell us these stories, these lucky lives, these matters. Chat shows, unfortunately, are not a good option. For example: when a pretty, blond haired girl says that she has been in bed with a footballer, society should reject this behaviour, not only because of the situation by itself, but also because of the dangerous example for our children. Everybody else would feel nothing more than shame with this attitude. However, this girl is supposed to be a lucky one, and she will show off her love story, true or false (who cares? ), all over these TV programmes. When our children are aware of the powerful influence TV programmes have on their way of thinking, it will probably be too late, because all of them will have been brought up in a wrong system of values. This is such a dangerous matter that both parents and teachers are assisting to a new age: now, children are very different from those previous generations and they lack human values, which is a very difficult problem to be solved. If excellent TV programmes are very important, extraordinary professionals aren´t less relevant. Nowadays there are many of them. Unfortunately they aren´t so good as we´d like them to be. Money is the only thing they are interested in, and the truth is present only a few times. Lying is the way they fill their tabloids with, and honour and respect are cast away by most of their readers. But all these things aren´t strong enough to make them dissappear. 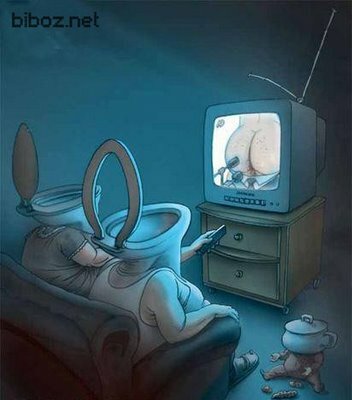 However, there are lots of TV programmes whose contents are so biased that nobody can trust them. People enjoy the stories and don´t think of their own really important problems. As far as I am concerned, literature can be a better option, not only because it increases people´s culture and vocabulary, but also because it can make us become more human, happier people. 11/10/2010 14:04 davidov3 #. Inglés No hay comentarios. Comentar. Una escritora que me atrae mucho desde el punto de vista humano, no sólo por los problemas mentales que tuvo o los escándalos que vivió sino también por su extraño mundo interior, es Virginia Woolf. Hubo una película muy bonita en el 2002, "Las horas", en la que se jugaba con las dimensiones temporales y se mezclaba una novela (Mrs. Dalloway) con el pasado (la vida y muerte de Virginia) y el futuro (una historia paralela a las dos anteriores). Os copio el trailer en el comienzo del artículo. Este breve texto lo redacté hace dos años cuando estudiaba 4º curso de inglés en la EOI de Ourense, sección de Verín, y en él cuento la biografía de esta mujer con el formato de un episodio de CSI: aparece su cadáver y comienzan a averiguar cómo murió. A cold April morning, 1941. Although the landscape is full of spring flowers and the sun is shining, as if the Second World War wasn´t being fought, there is something wrong. A dog approaches the river bank since there is a terrible stench there. After sniffing all over the place it finds a corpse. Almost at the same time a deep voice is heard calling the dog. He seems absolutely petrified when he notices who the mortal remians belong to: Virginia Woolf. She is a very close friend of his family, especially of his mother´s (Vita Sackville West). He is Nigel Nicolson, a young man who is used to running with his dog every morning in those fields in East Sussex. After recovering from the shock, he phones the police and an investigation is opened: "How did Virginia Woolf die?" First of all her lifeless body is examined very carefully, in every detail. Lots of stones are found in her pockets, and as there are no signs of violence neither on her wrists nor on her legs, she is supposed to have been her own killer. This news falls as a big rock on a mirror, not only because both her husband and her sister Vanessa fall victims to a depression with the news, but also because everyone who has ever read any of her books feels the loss. Actually, she will be rightly considered a genious in the history of literature. Lots of people are interviewed during this investigation: What kind of reasons can make a person like Virginia Woolf kill herself by weighing her pockets with stones and walking into the River Ouse near her home? The police start their tests by talking to her family: both her half-brothers George and Gerald Duckworth show a despising attitude; on the one hand, by leaving their questions unanswered, on the other hand by looking down on them. They seem to be nervous about something. What? Without knowing the truth about this matter, Vita Sackville West shows a cooperative attitude with the police by giving them one of Virginia´s diaries. After two months of thorough reading tests, they notice that both of her half-brothers had abused her and her sister Vanessa, and that´s the reason why they are sent to prison, waiting for a criminal trial. This woman, Vita, is the mother of the boy who has found Virginia´s corpse, and although he avoids speaking about the subject, his mother and Virginia were lovers years ago. "I feel certain that I´m going mad again. I feel we can´t go through another of those terrible times. And I shan´t recover this time. I begin to hear voices, and I can´t concentrate. So I´m doing what seems to be the best thing to do. You have given me the greatest possible happiness. You have been in every way all that anyone could be. I don´t think two people could have been happier ´til this terrible disease came. I can´t fight any longer. I know that I´m spoiling your life, that without me you could work. And you will I know. You see I can´t even write this properly. I can´t read. What I want to say is I owe all the happiness of my life to you. You have been entirely patient with me and incredibly good. I want to say that - everybody knows it..."
23/09/2010 17:01 davidov3 #. Inglés Hay 2 comentarios. "No puede usted matricularse en la EOI... le falta ¿el certificado que nos dio el año pasado?" 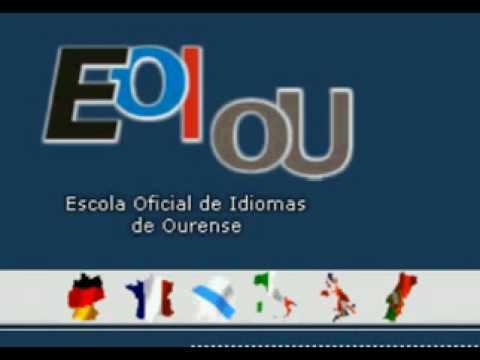 Así de difícil resulta intentar matricularse hoy en día en la Escuela Oficial de Idiomas de Ourense. Comprendo que cuando se tiene a gente en la lista de espera te puedes permitir ser más exquisito al admitir al personal, comprendo que cuando la persona que tienes delante te trae sólo la mitad de los documentos necesarios para matricularse le digas que se dé media vuelta y traiga lo que le falta. Todo eso lo puedo comprender. Pero me parece que se están equivocando en el modo de tratar a los alumnos. Recuerden que si nos plantamos y decidimos no matricularnos en señal de protesta su trabajo será innecesario. ¿Les parece normal que a un profesor de instituto, que trabaja durante las mañanas y no puede abandonar su puesto de trabajo, se le niegue enviar por fax la información solicitada? Me obligan a faltar a mis clases o enviar a alguien a hacerme el recado. ¿¿De qué vale, entonces, que nos obliguen a preinscribirnos en internet, y a matricularnos por internet, dándonos incluso la opción de realizar el PAGO TELEMÁTICO?? Se merecían eso, que los alumnos que queremos formarnos en idiomas les diérmaos plantón, que nos matriculáramos por la UNED (que también podemos hacerlo y nos preparan igual o mejor), que no agacháramos la cabeza cada vez que se ríen de nosotros y nos dicen: "vuelva usted con la información que le falta". Y luego los escandalosos criterios de corrección de los exámenes en algunos idiomas (sí, me refiero a INGLÉS). No comprendo cómo se puede pedir a una persona que lleva 2 cursos estudiando inglés que responda oralmente a tantas exigencias. Para ellos corregir el Speaking es fácil, lo hacen con plantilla, y si no llegas a 15 cliks estás fuera, da igual que hablases con desparpajo o torpeza, te faltó tocar este tema o aquel otro. No comprendo cómo se puede pedir a una persona que lleva 6 cursos estudiando inglés que sea capaz de resolver un LISTENING que les parece realmente difícil a los propios profesores, con una gran variedad de acentos, temas, con preguntas trampa... No lo comprendo. Me han hablado muy bien de los profesores de Galego y Alemán. A ver si es cierto. Ahora que logré matricularme de Galego y Alemán, esperemos que no sean tan duros, entre otras cosas porque quizá no dispongan de una lista de espera de alumnos a los que putear. 22/09/2010 12:29 davidov3 #. Inglés No hay comentarios. Comentar. Aquí os ofrezco un vídeo con un remake de la famosísima Star wars. Con versiones vegetales de los personajes (Chiwbroccoli, por Chiwuakka; Ham solo, por Han Solo; R2Peanuts por R2D2; etc). Está en inglés, pero se entiende genial. Está muy bien para aprender vocabulario de vegetales; fijaos en la escena de la cantina: ¡¡es igual!! 23/11/2009 16:36 davidov3 #. Inglés No hay comentarios. Comentar. ¡¡Tus canciones favoritas subtituladas, aprende inglés cantando!! Echando un vistazo al blog de Isabel, vi un artículo muy interesante sobre una página web donde se dedican a traducir discos por encargo de la audiencia (mediante votación on-line) y adjuntan el videoclip con las letras y los subtítulos. 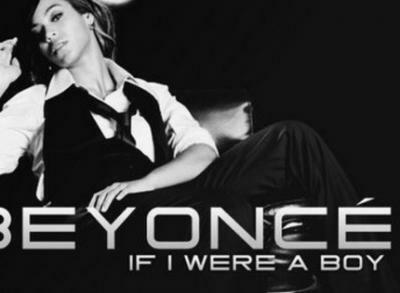 Aquí podéis ver el videoclip de la canción If I were a boy de Beyoncé, que es muy buena no sólo por la música, sino también por su estructura. A ver si os dais cuenta de qué tiene de particular... En la página web os la traducen de esta forma. Se acabó lo de ir por ahí cantando "chiniwini chiniweich in de midel of de nait". Ahora por fin sabremos qué dicen las letras de nuestras canciones favoritas en inglés. 10/07/2009 15:56 davidov3 #. Inglés Hay 1 comentario.